Appriss launched two partial user security releases for ICOTS in October in order to keep ICOTS in compliance with CJIS security standards, which they are contractually obligated to do. These changes are part of the new CJIS security standards policy drafted by the FBI. When a user requests a password reset they will now need to set 2 security questions. The answers to those security questions will be required the next time a user requests a password reset. 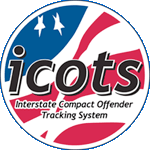 State administrators now receive an email notification when an ICOTS user has been inactive for more than 90 days. The user will also be flagged on the User List report.